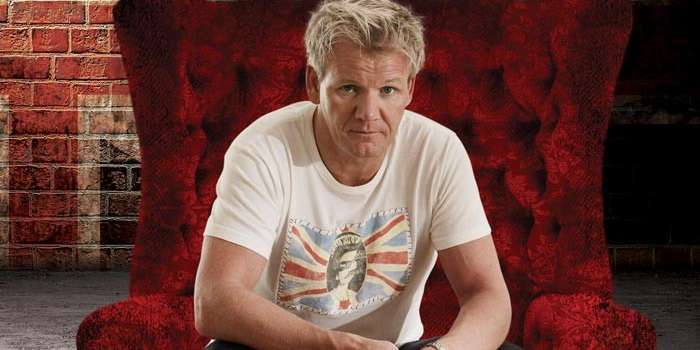 Located at Caesars in Atlantic City, NJ, Gordon Ramsay Pub & Grill will offer traditional British pub fare and Classic British favorites such as, bangers and mash, fish and chips and roasted chicken, as well as some favorites of Gordon's such as London broil prepared on a wood-burning grill. The Pub will offer a wide selection of craft and microbrews from around the world offering over 30 beers on tap. My fiancé and I went here 6/17/15 and the only redeeming quality about this place was the bus boy, Adrian, who was the only competent and attentive person in the place. We came here like most people, attracted to the Gordon Ramsay name, expecting high quality service and food for a decent price. Not only are the prices outrageous, the food does not meet any standards I would expect the food network star to uphold. They falsely advertise themselves as a worldly pub with a wide variety of beer options on tap, which attracted us as well. However, they had a menial selection with outrageous prices. When we ordered two locally brewed IPAs, they were so watery and tasteless we had to send them back, choosing to play it safe and order from breweries that we were familiar with. When the replacement beers came 15 minutes later, they tasted like someone had shaken black pepper into them and then watered them down again! There is no bread service, which for a "pub" is disgraceful and is false advertising at best, and the burgers are outrageously priced. We ordered the Ramsay and lamb burgers, which were overcooked and not worth what they were charging for. Additionally, I would not have expected to need to add salt to my French fries in a world class chef's establishment, but they were tasteless and had no style. We could have had a better quality burger and fries at five guys. As another review states, I wish we could go back in time and not go to this restaurant as it was a huge mistake and waste of $75 on two burgers and two beers. We went for dinner here pretty much just for fun, after watching "Hell's Kitchen" on TV for over a decade. Unfortunately, the most fun I had was asking staff if anyone had ever done a comedic impression of Ramsay, and when they all said no, I became the first.... Getting back to business, the service here was attentive, but the kitchen pretty slow; overall I found the food disappointing (especially considering the prices--like everything else in A.C., it was overpriced by at least 50%). I ordered the "bangers and mash," while my squeeze ordered a steak. After asking, we were informed by our pleasant waitress that they "don't serve bread here." Lame indeed, IMHO, esp. since entrees don't include a salad. After a longer-than expected wait in the nearly empty place, our dinners arrived. Mine looked fine, although the three sausages that came with the potatoes were on the smallish side. They tasted okay, but nothing more. The mashed potatoes were excellent, however, as they were loaded with cheese and such. I almost spat out my girlfriend's proffered chunk of steak--it was served well done (instead of medium well, as ordered) and had an overly smoky taste with zero beef flavor; inexplicably, she said she liked it. I would have sent it back. The side of Brussels sprouts we ordered were the smallest I've ever seen, cut in half and hard as rocks; Birdseye's frozen version with butter sauce is ten times as good. If I could go back in time, I'd go somewhere else to eat that night. Caveat emptor. We celebrated my husband's birthday on 4/18/15. The hostess tried to seat us at a table near the rope but we declined that table and were seated away from those walking by. Call me strange but I do not like people walking by and looking at my food. We started with the molasses and brown ale wings and a wedge salad. Followed by the beef wellington and crispy Amish chicken. For dessert, we had the sticky toffee pudding. Our server was able to describe how the items were prepared (i.e. the onion soup has a beef stock, chicken had a chicken stock ragout, no bacon in the brussel sprouts, etc. ), listened to all that we requested, and delivered items just the way we ordered. We totally loved the food. Gordon Ramsey was even there for a promotional event. Although we did not get to meet him, many others did. GR Pub is a great addition to AC. We will definitely dine there on our next trip and highly recommend the restaurant. The experience is worth the price. The best part of dinner for us was when Latasha came out and chatted with the customers. She was just as genuine in person as she appeared on television and even took a picture with us. Started with Molasses and Brown Ale Glazed Wings- Great!! Unlike any wings you have had before. - Be prepared for Sticky Fingers - they provide a large moist towel to un-stick your fingers. Steak and Ale Pie - Fantastic combinations of flavors. One of those dishes you don't want to end .